Christian Dior loved going to the Cirque d’Hiver, where Richard Avedon, who had an extraordinary gift for capturing the essence of Monsieur Dior’s style, shot the celebrated photo Dovima with Elephants in 1955. 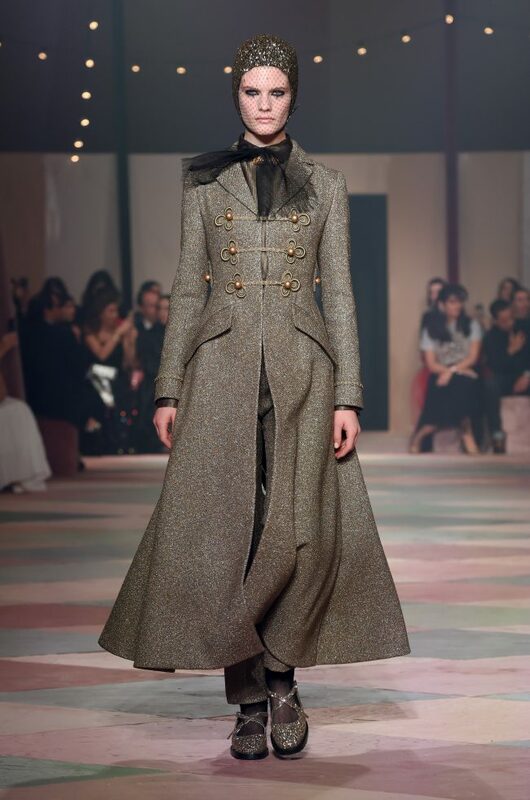 One of the fashion world’s most emblematic images, it evokes perfectly the majesty of haute couture. In 1950, British television also covered the House’s show at The Savoy in London with a report titled Dior ‘Circus’ Comes To Town. 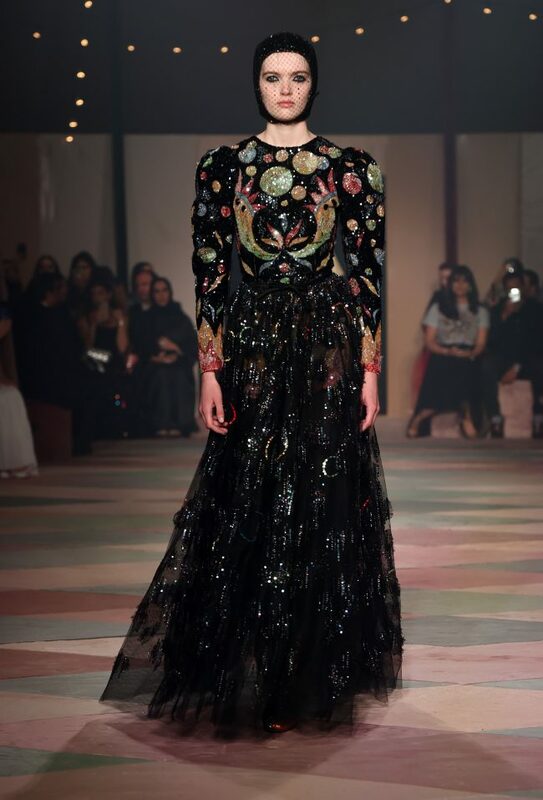 For Maria Grazia Chiuri, this fantastical creative chaos provided the starting point for this new haute couture collection. The visual unfurling of the pieces that compose it represents an unleashing of the memory and the imagination associated with the circus through costumes, fashion and art, extending and the evocation of Cindy Sherman’s work focusing on clowns. 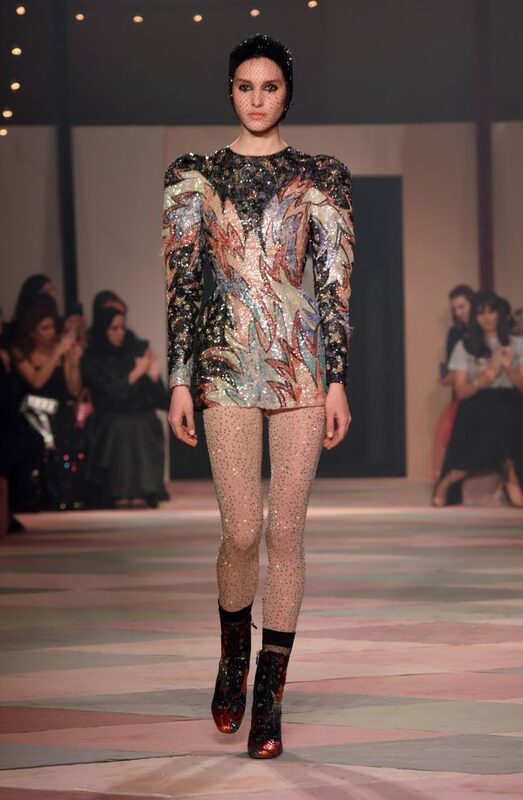 a woman’s tattooed skin, reminiscent of the Victorian circus and its fairground phenomena, becomes a motif drenched unitard that shapes the body and tells a wearable story under dresses. Powdery shades that come together and blend into an infinite palette – like those on the curtain painted by Pablo Picasso for the ballet Parade – also symbolize this sense of the worn, of the fine dust that sprinkles stage clothes. Skirts embroidered or inlaid with opaque sequins are shortened as tutus that nod to the circus codes of acrobats, tamers and riders. 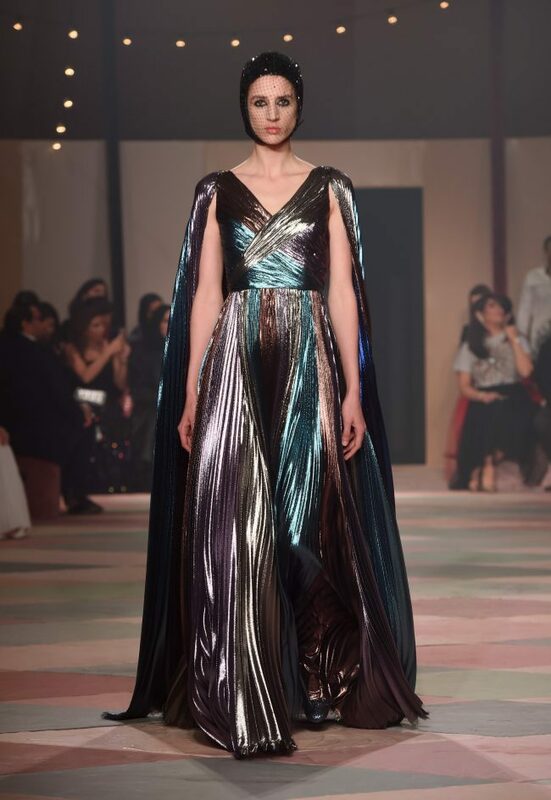 Maria Grazia Chiuri employs this broad variety of images to compose her own “parade”, comprising full and very light pants, narrowing at the ankle, which can also become sumptuous jumpsuits. Shorts are paired with sheer white shirts accented with ruffs or ribbons seemingly frayed with the passage of time. There are also leather corsets and the geometric white clown outfit, whether spare or sumptuous, reinterpreted through its materials, embroidery and proportions. 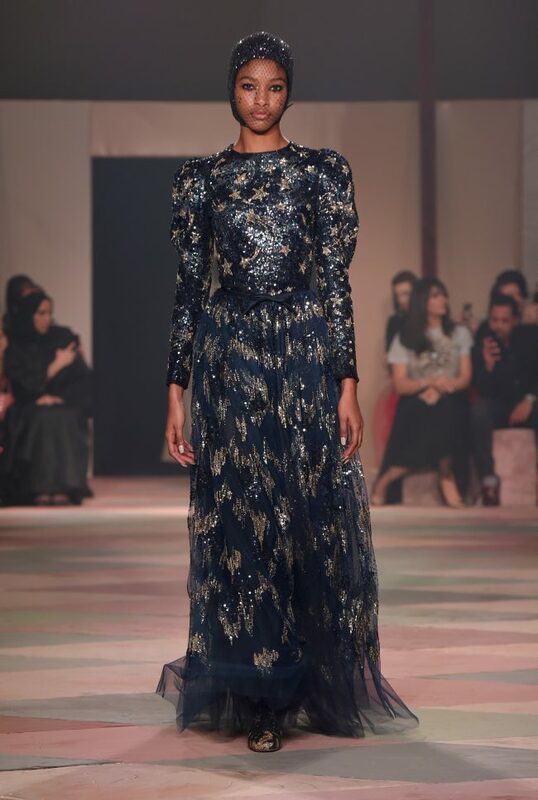 To this dreamlike parade, fifteen entirely new creations have been added especially for the collection’s presentation in Dubai. These fifteen exceptional silhouettes, enhanced by the dazzle of gold, intense reds, and subtle shades of green and lilac, symbolize all the excellence of the savoir-faire in the Dior Ateliers. 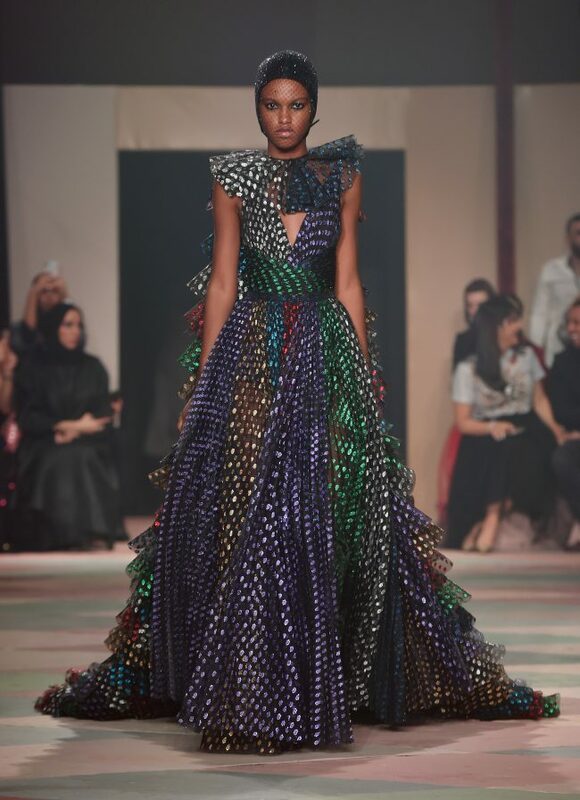 Pleated skirts shimmer like rainbows, accentuating the celestial magic of the circus even more. 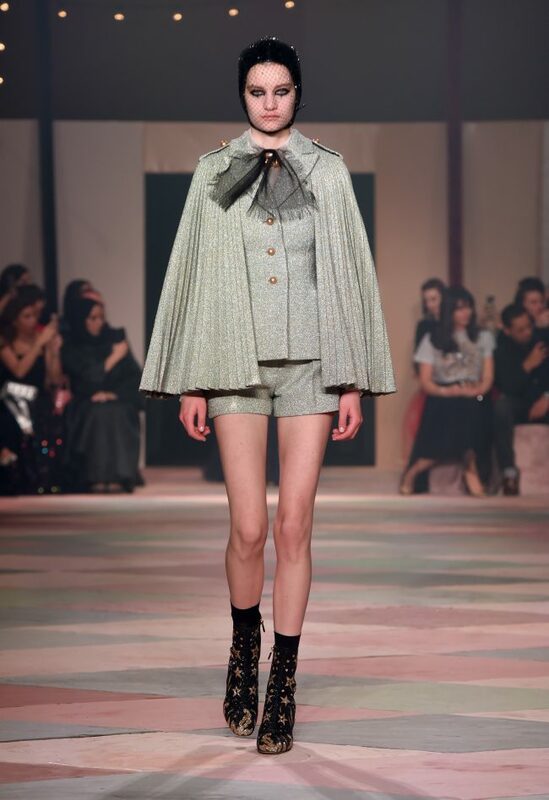 And then there are the long, fitted redingotes punctuated with hand embroidered frogging, and tamer’s jackets — a flamboyant reinterpretation of the iconic Bar jacket. 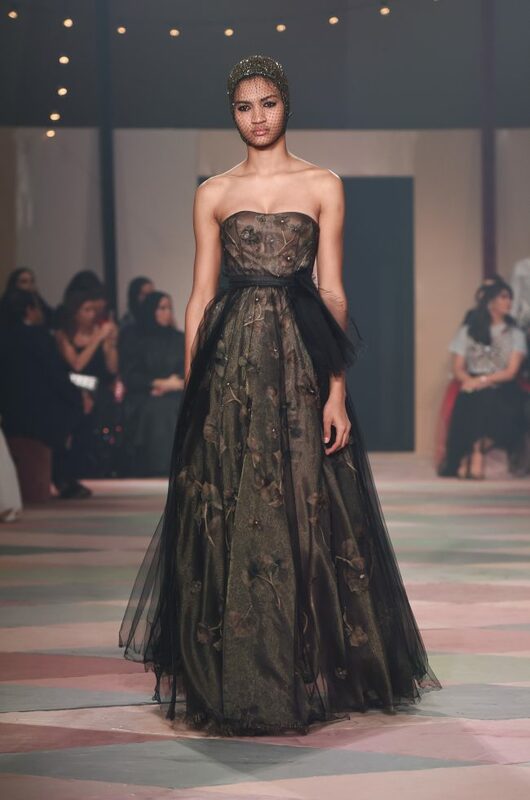 These unique and marvelous creations revisit Dior codes through an eminently feminine contemporary vision. 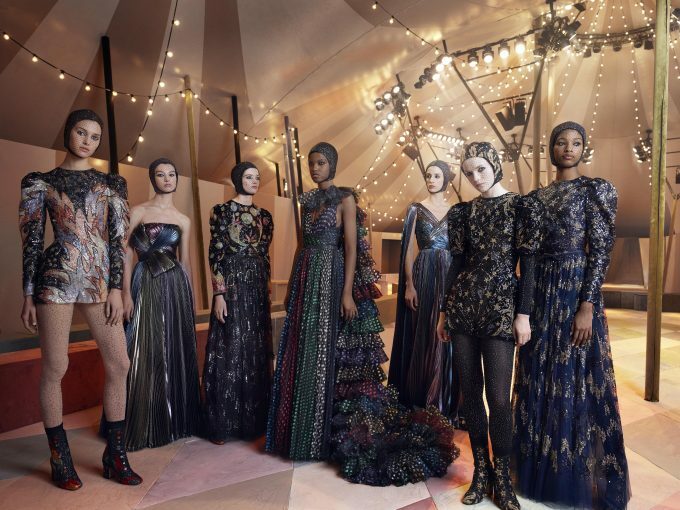 The grace and evocative power of the circus render sublime the “Kingdom of Dreams”, as Christian Dior described the magic of dresses and haute couture in his memoirs.